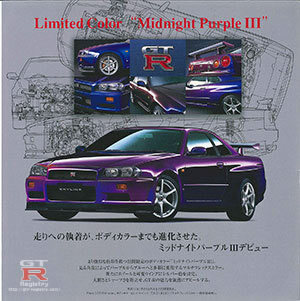 All GTR Midnight Purple 3 cars have a 1 for 14th digit and J for 16th digit in the model code. 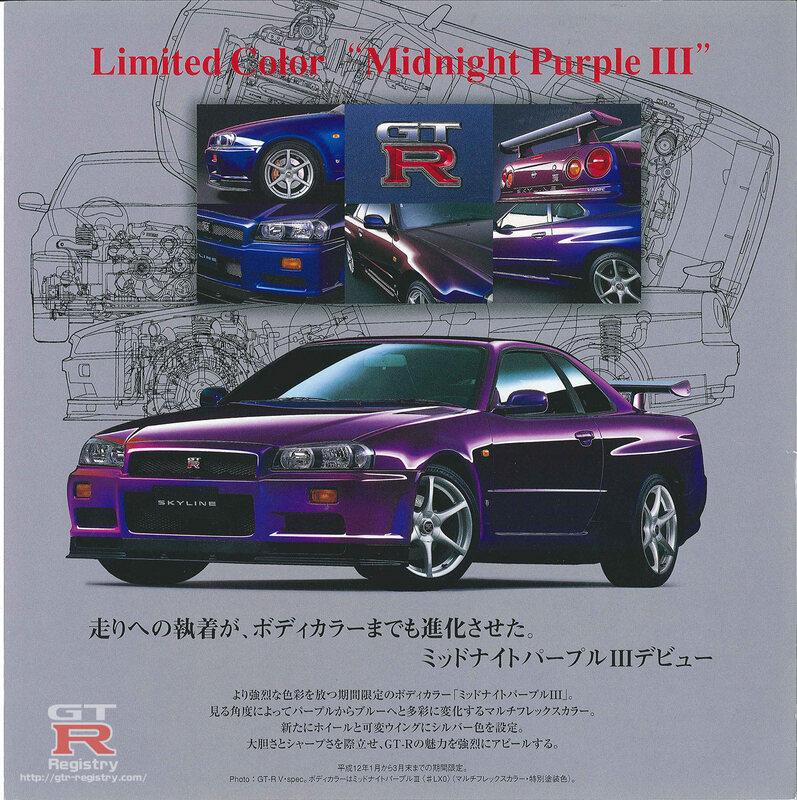 All* V-Spec Midnight Purple 3 cars have a 1 for 14th digit and K for 16th digit in the model code. 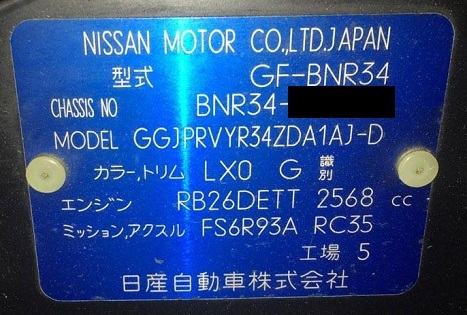 * The first 6 V-Spec have a special model code of GGJPRWYR34ZDAA003Y. Brochure scan provided by Raj MrFijiGold, VIN plate by Jamie Noyz.